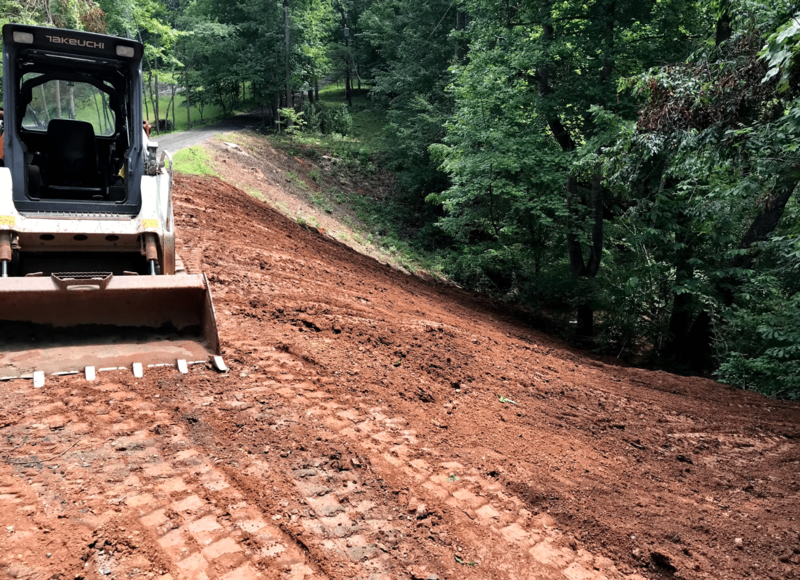 Reynolds Contracting specializes in earthwork and general contracting services in the Central Virginia area. 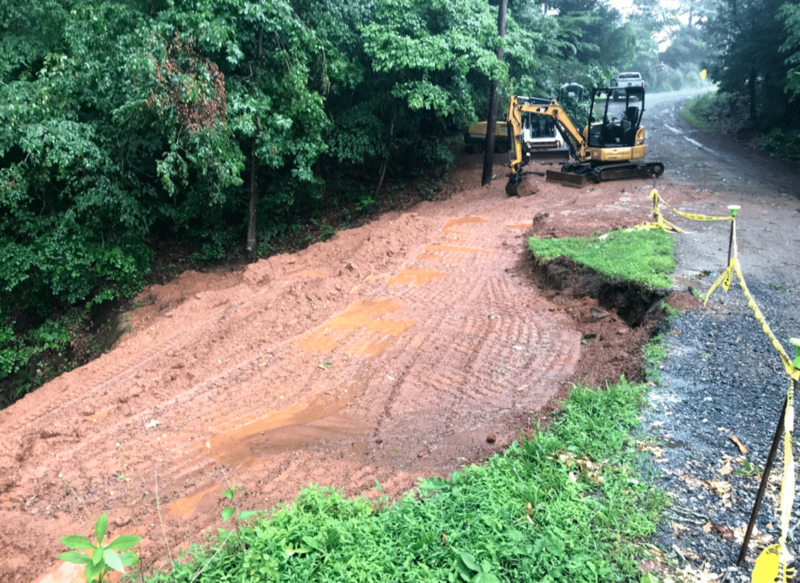 Earthwork offers variety of solutions, including excavation, site clearing, grading, drainage solutions, and final site preparation for both residential and small commercial properties. 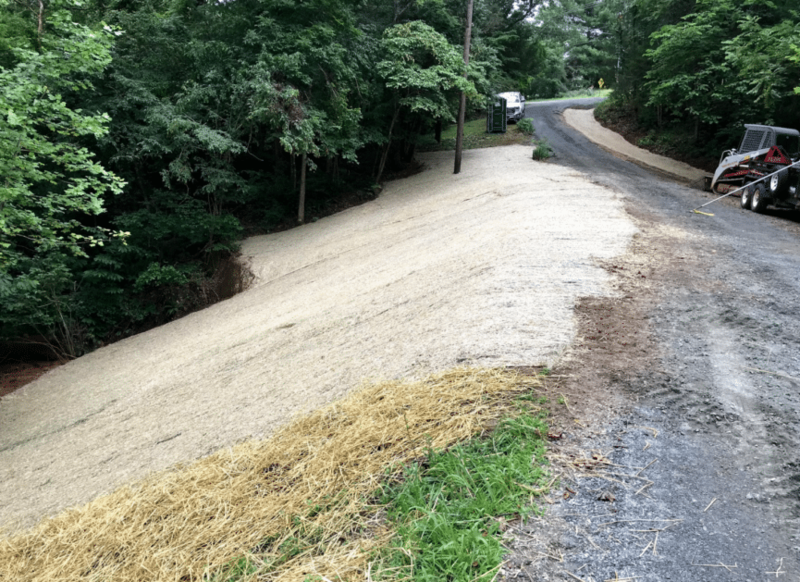 We recently completed a Charlottesville dam renovation on a driveway that improved the safety and function of a residential driveway. This dam had not been properly maintained over the years. Over many years, vegetation grew on the dam, which is a big no-no! With the exception of grass, guidelines prohibit vegetation from growing 25’ from the toe of the slope of the dam. 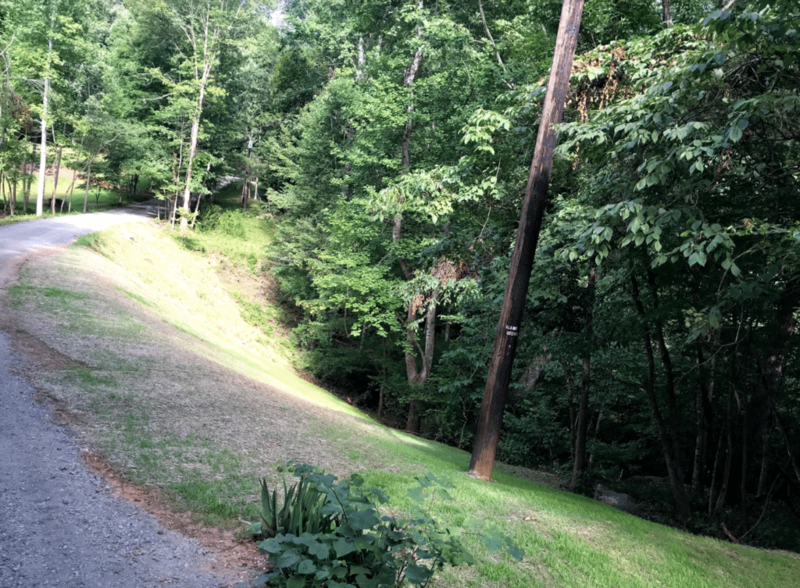 You can see that this dam had trees and other vegetation growing well within 25’ of the beginning of the slope, and even up onto the dam itself. Why is vegetation detrimental to a dam? The roots and growth of plants change the structure of a dam. Water flows differently over grass than through vegetation, leading to erosion. In fact, this dam could have completely collapsed due to the vegetation growing on it. The driveway would have been destroyed. The collapsed dam could have caused harm to people or property due to shifting earth. Once the dam failed to do its job, water flow downstream could have cause devastation to land or animal habitats. We took great care in renovating this dam. 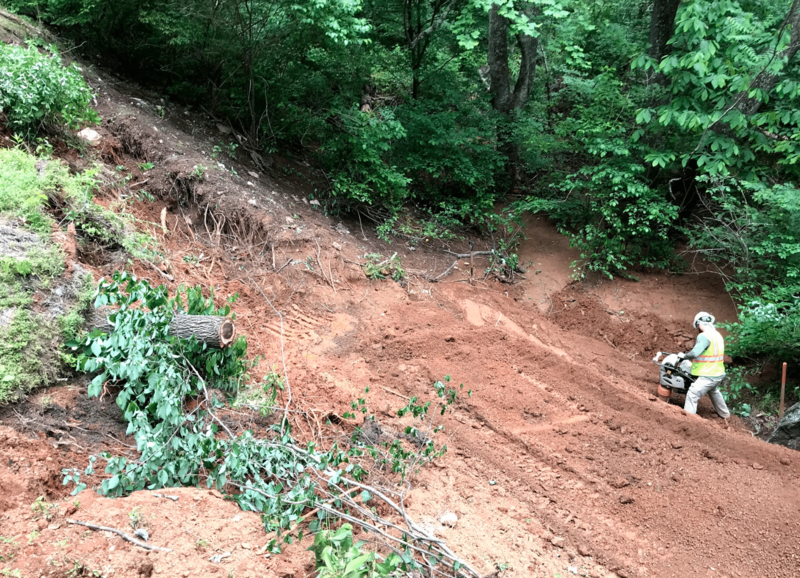 We removed the existing vegetation on the dam to a safe distance from the start of the slope. 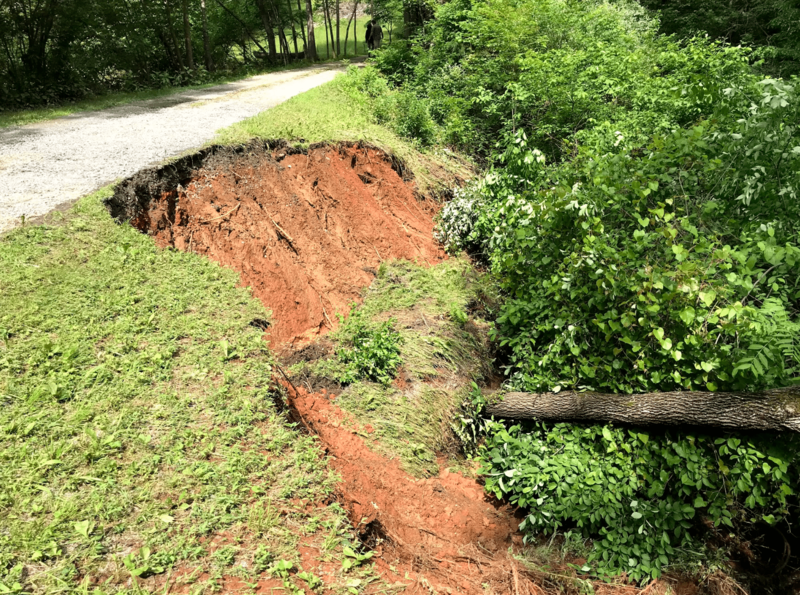 To regain some of the structure that was lost, we backed dirt into holes and began reshaping the dam surface. We also needed to control erosion on the newly graded dam, so we used a straw blanket for grass planting to keep the seeds in place. Once complete, we were pleased with the outcome of this project. The dam is stronger and more secure to last for years to come. Of course there is a responsibility to maintain the dam and eliminate any vegetation growing in that 25’ area. Knowledge is power – if you have vegetation growing on a dam, it’s time for a clean up! 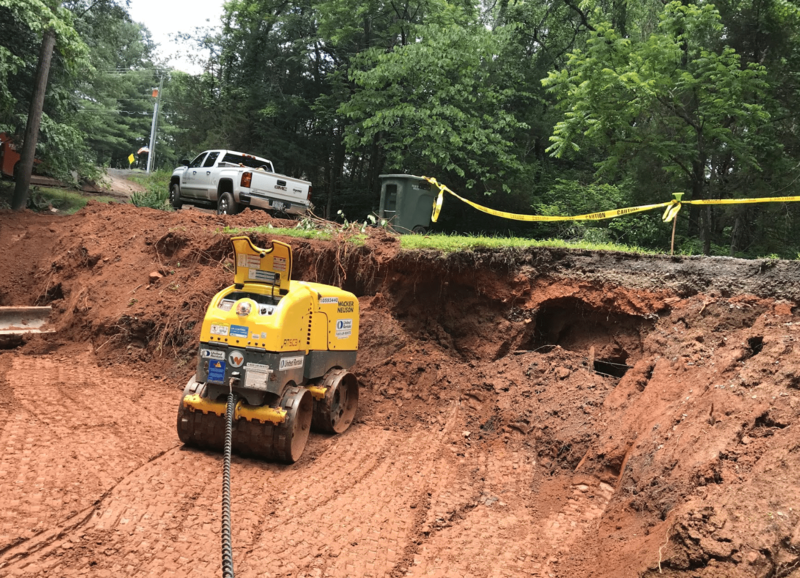 For a Charlottesville dam renovation, contact Reynolds Contracting at 434-293-6724.